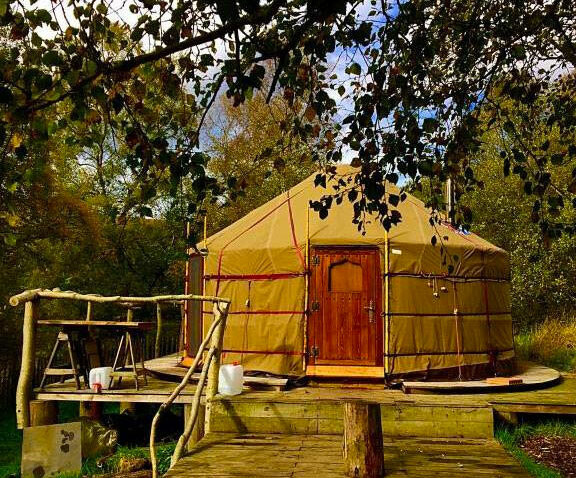 Over the last 10 years we have sent yurts all over Europe and beyond. From the mixed weather of England, the wind and rain of the west coast of Ireland, to freezing ice and snow of Denmark, Sweden and Norway, to the ever raining mountains of Belgium, to humid islands in the Pacific and roasting coastal locations in Portugal, Spain, Italy, Greece. These yurts have been tried in every conceivable climate and have proven how well they work in all conditions. We have our "WeatherProof" canvas specially made to make sure it doesn't fail. We go the extra mile exactly where it counts to make sure our yurts will not leak even in harshest of conditions. The wood is finished with an exclusive two pack treatment from Germany. We dont simply add oil but we use a complete treatment that means the wood frame will work perfectly in all conditions. When we send a yurt out, it doesn't matter it's destination, we are fully confident it will excel no matter where it goes, nor what the climatic conditions.